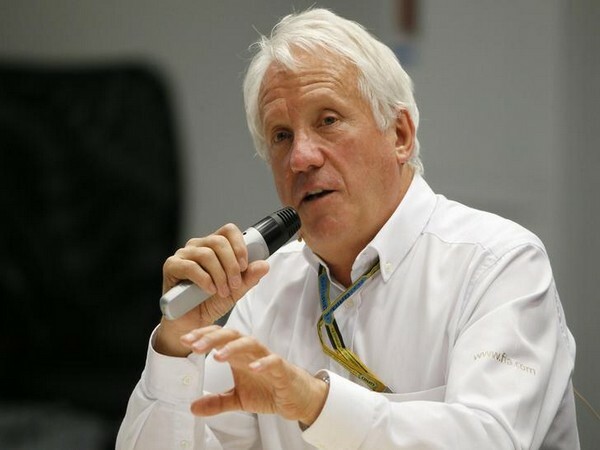 Paris [France], Mar 14 (ANI): Charlie Whiting, the Fédération Internationale de l'Automobile's (FIA) director of Formula One died at 66. Abu Dhabi, [United Arab Emirates] Nov 26 (ANI): In a comic turn of events, Hollywood actor Will Smith tried to hijack race driver Lewis Hamilton ahead of the latter's final race of the F1 season in Abu Dhabi on Sunday. Johannesburg [South Africa], Nov 26 (ANI): Spanish driver Fernando Alonso, who has already announced that he would be retiring from racing by the end of the ongoing season, has underplayed his chances of returning to Formula One. Mexico City [Mexico], Oct 29 (ANI): British Formula One Lewis Hamilton on Sunday finished fourth in the Mexican Grand Prix to clinch his fifth world championship crown to equal his tally with the legendary Argentine Juan Manuel Fangio. Tokyo [Japan], Oct 25 (ANI): The finals of world's top motorcycle mechanic competition were held at the head office of "Yamaha Motor" in Japan. Johannesburg (South Africa) October 22 (ANI): Finish Formula One driver Kimi Raikkonen, who had announced his exit from Ferrari by the end of 2018 season, has said that he is "very happy" to join the Sauber Formula One team next year. Georgi [USA], Oct 22 (ANI): Finnish Formula One driver Kimi Raikkonen registered his first victory in last five years by finishing at the top of the podium in the United States (US) Grand Prix here on Sunday. Tokyo [Japan], Oct 7 (ANI): Four-time Formula One world champion Lewis Hamilton on Sunday won the 2018 Japanese Grand Prix to take a 67-point lead over Ferrari's Sebastian Vettel in the championship title race. Sochi [Russia], Sep 30 (ANI): Four-time Formula One world champion Lewis Hamilton on Sunday won the 2018 Russian Grand Prix, while his teammate, Valtteri Bottas, settled for the second spot. Does the Formula One Grand Prix Make Financial Sense? Singapore , Sep 17 (ANI): This week, the Formula One circus came to town.